If you haven’t experienced SIM swap fraud, count yourself lucky. It’s a relatively new, sophisticated form of fraud that allows hackers to gain access to bank accounts, credit card numbers, and other personal data. It’s tough to spot, and even tougher to undo the resulting damage. It’s a growing trend. According to the U.S. Fair Trade Commission, there were 1,038 reported incidents of SIM swap identity theft in January 2013, representing 3.2 percent of identity theft cases that month. By January 2016, that number had ballooned to 2,658. But there’s hope. Knowing SIM card fraud’s basics can help protect you against the most common forms, and recognizing an attack in progress can help you head off the worst of its effects. A cellphone SIM card stores user data in GSM (Global System for Mobile) phones. They’re principally used to authenticate cellphone subscriptions — without a SIM card, GSM phones aren’t able to tap into any mobile network. SIM swap fraud is a type of identity theft that exploits the SIM system’s biggest vulnerability: Platform agnosticism. Emma Mohan-Satta, a fraud prevention consultant at Kaspersky Labs, told Digital Trends that a growing reliance on phone-based authentication has made SIM swapping an increasingly lucrative enterprise. Laying the groundwork for a SIM swap scheme involves collecting as much information about the victim as possible. Fraudsters might send phishing mail — messages that impersonate legitimate businesses like credit card companies and health insurers — intended to fool victims into forking over their legal names, dates of birth, addresses, and phone numbers. Unfortunately, many people can’t tell the difference between real emails and phishing emails. Alternatively, they might scrape public websites, social media, and data dumps from criminals who specialize in collecting personal data. Once SIM criminals have gathered enough information on a target, they create a false identity. First, they call the victim’s cellphone provider and claim that his or her SIM card has been lost or damaged. Then, they ask the customer service representative activate a SIM card or number in their possession. 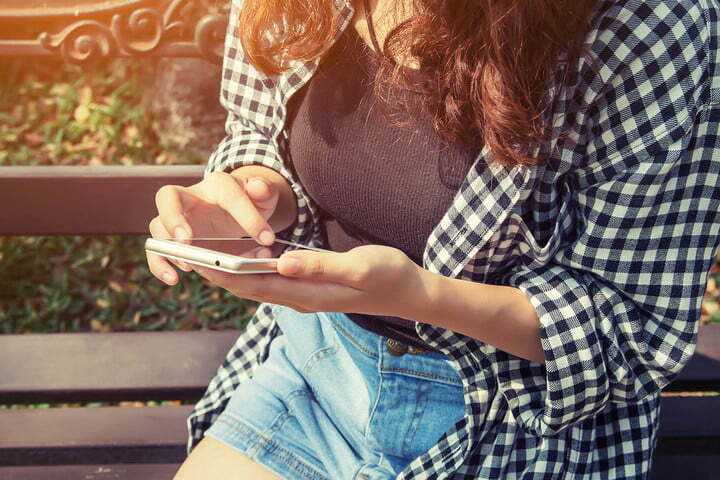 Most cellphone service providers won’t acquiesce to those requests unless callers answers security questions, but SIM fraudsters come prepared, using the personal data they’ve collected from across the web to defeat the carrier’s security checks without raising any alarms. Once they’ve gained unfettered access to a victim’s phone number, criminals target bank accounts. Next, SIM fraudsters mask money withdrawals using a parallel system. They create a second bank account under the victim’s name (banks where the victim is already a customer have fewer security checks). When the criminals execute a transfer between the two accounts, it appears to the bank’s computer system as though the victim is transferring funds between two parallel accounts. It’s tough to detect SIM card fraud before it happens. Most victims discover they’ve been compromised when they try to place a call or text. Once the perpetrators deactivate a SIM, messages and calls won’t go through. But some banks and carriers have instituted protections that prevent SIM swap fraud before it happens. Some institutions call customers to determine whether they got a new SIM card or alert them that someone is potentially impersonating them. Martin Warwick, FICO’s fraud chief in Europe, the Middle East, and Africa, told CreditCards.com that an increasing number of banks use the IMSI (International Mobile Subscriber Identity) — a unique number associated with a specific GSM phone — to ensure one-time use codes are sent only to legitimate subscribers. Banks in the U.K., including the Lloyds Banking Group and Santander, say they’re working with network providers on the issue. Groups like the Financial Fraud Action UK actively partner with telecommunications companies to educate subscribers about SIM swapping. 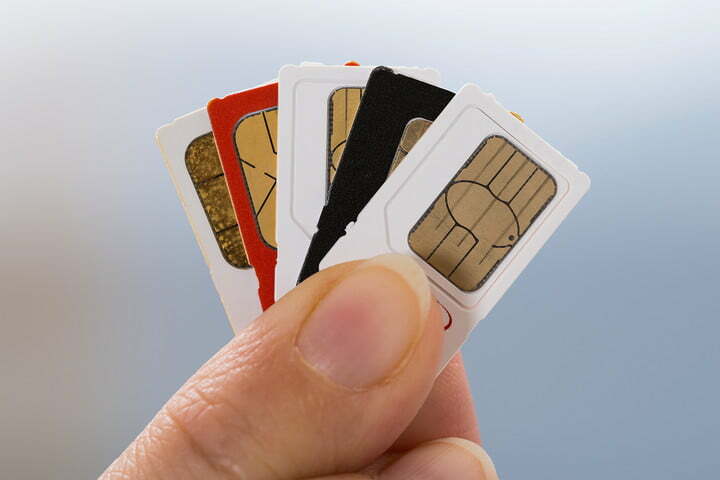 Major carriers in the U.S. offer security that can help protect against SIM card swapping. AT&T has “extra security,” a feature that requires you provide a passcode for any online or phone interactions with an AT&T customer representative. You can turn it on by logging into AT&T’s web dashboard or the myAT&T app. Sprint asks customers to set a PIN and security questions when they establish service. T-Mobile lets subscribers create a “care password,” which it’ll require when they contact T-Mobile customer service by phone. You can set one up by visiting a T-Mobile store or by calling customer care. Verizon allows customers to set an account PIN, which they can do by editing their profile in their online account, calling customer service, or visiting a Verizon store. The easiest way to prevent SIM card fraud is by exercising a few common-sense rules, Mohan-Satta said. “Users should avoid revealing too much personal data online, and check on what alerts can be set up with their bank or phone company to identify any attempts to access their account,” she said. Another good practice is using encrypted messaging apps that aren’t as prone to snooping as SMS. Blaich suggests enabling two-factor authentication, which requires a randomly generated passcode in addition to a username and password, on sensitive social media, credit card, and bank accounts. It never hurts to exercise due diligence. Blaich recommends checking with your cellphone company every couple of weeks to see if any SIM cards have been issued without your knowledge. If you’re the victim of a SIM swap scam, it’s not the end of the world. Mohan-Satta says that acting quickly can minimize the amount of damage inflicted by fraudsters. “Inform the bank or phone company as soon as you have any suspicions to reduce the impact of the attack,” she said.